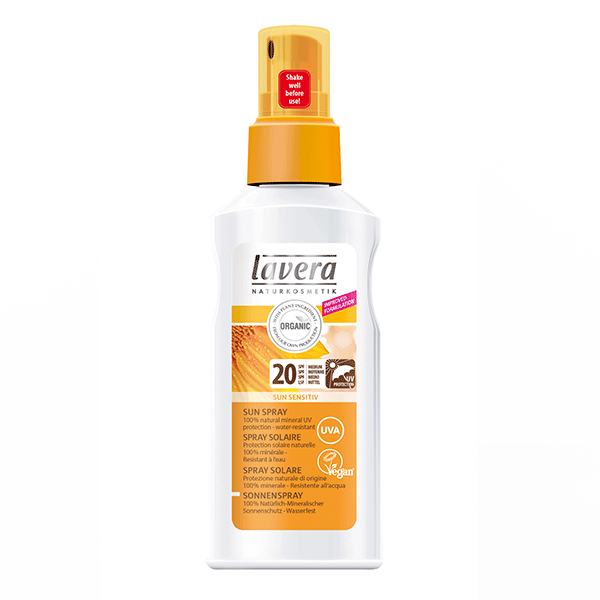 Lavera Organic Sun Spray SPF 20 gives a medium protection using 100% mineral UV protection. It is immediately effective, waterproof and suitable for the whole family and for every skin type. 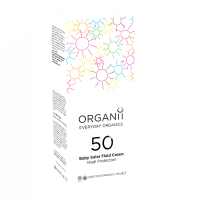 The organic ingredients of Sunflower Oil and Calendula together with the natural UV protection perfectly reflects the sun rays and cares for your skin. The sun rays are blocked in a ratio UVA to UVB of 1:3 as recommended by the European Commission. Natural sunscreens may have a whitening effect on your skin. Shake well before use. Can be used immediately, no need to wait the 20 minutes. Apply generously to your skin. Re-apply frequently to maintain protection especially after sweating or swimming. Repeated application does not give increased UV protection. Make sure that every part of the skin that is exposed to sunlight has been protected. Please avoid contact with clothes as product may cause staining. Protect babies and children from direct sun, avoid the midday sun, in very strong sun - dress babies and children in light cotton clothing for extra protection.